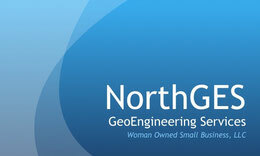 North GeoEngineering Services, LLC (NorthGES) is a self-certified, Woman-Owned Small Business (WOSB) enterprise. 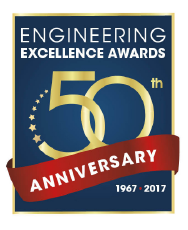 The Chief Geotechnical Engineer has over 30 years of nationwide experience, serving both public- and private-sector clients. NorthGES collaborates with clients to develop timely, innovative, and cost-effective solutions to a wide variety of geotechnical engineering challenges. NorthGES focuses on project scale and complexity in our tailored approach to services, and believes that client input and feedback are key elements of a successful project. We are nimble and responsive to each of our client’s needs and objectives which helps us to provide practical, on-time solutions. Our philosophy is that by solving client’s challenges in an economical and safe manner, we will all be successful. Through previous project experience, NorthGES has developed long-standing relationships with a network of nationally- and internationally-recognized geoengineering specialists. Through this technical network, our key personnel have reliably delivered solutions to our clients' toughest challenges. See Technical Network tab for more details.